Instadesign Group is a Quebec-based company that offers a variety of services for the design and improvement of products. We are a team of engineering and manufacturing experts helping our clients expand their capabilities and improve productivity through innovative technology. The Carfulan Group of companies offer precision, performance and perfection for your manufacturing processes, through multi sensor metrology, 3D printing, tool presetting and shaft measurement. From initial design through to project completion, the Carfulan Group supplies only the very best cutting edge technology to enable manufacturers to design more freely, manufacture more efficiently, and measure parts to ensure accuracy to the finest detail. Expert Operators & Distributors for German RepRap, Sintratec, HP 3D Scanners, Geomagic & SpaceClaim. M&R Tools is a reseller of tools and machinery related to jewelry, setting, engraving, gemology and stoning. Its products include 3D printers and 3D design tools. Caelynx is a Computer Aided Engineering (CAE) consulting company. We use Finite Element Analysis (FEA) and Computational Fluid Dynamics (CFD) to help our customers develop superior products, accelerate their time to market and lower their development costs. Caelynx also provides sales, support and training for Dassault Systemès Simulia software and for FEMFAT fatigue software. Caelynx serves leading innovators in automotive, aerospace, life sciences and other industries. Our mission is to develop long term relationships with our customers by sharing our expertise and providing excellent service. CadXpert is a leading distributor of 3D printers, 3D scanners and systems of 3D CAD / CAM /CAE in Poland with many years of experience in the 3D technologies related to the design, prototyping, reverse engineering, production and presentation of products. In business since 1989, Source Graphics is a leading Service and Solutions company, specializing in the CAD and GIS markets. Our friendly and experienced Customer Service Team is dedicated to serving you. Whether your needs call for equipment, service, supplies, application software, or prototyping services, we are the best source for you. Importer and distributor 3D Scanner and sale 3D Printer Brand Zortrax, Ultimaker, Formlabs, Mcor Technologies, EOS, Filament ABS PLA, Resin tank. 3D MASTER xây dựng mục tiêu mang tới thế giới 3D cuộc cách mạng số hoá (SCAN3D/CAD/CAM) và tạo mẫu nhanh (IN3D) bằng việc cung cấp giải pháp tối ưu& dịch vụ chuyên nghiệp. We are not just experts in 3D printing. We are great enthusiasts. From idea to product you have been enthusiastically following for more than 5 years. 3D-Printerstore operates a well structured online-store and acts as supporter and consultant at the same time. We provide selected products to enter the world of 3D Printing. The topic of 3D printing has to be brought closer by way of sale through stores. Matt Stuller founded Stuller, Inc. in 1970. From our manufacturing and administrative headquarters in Lafayette, Louisiana, we provide next-day delivery of more than 200,000 different items to over 40,000 jewelry professionals worldwide. We own four operations — three in North America and one in Bangkok, Thailand. Through these, we provide a complete range of products and services for jewelry professionals including design technology and comprehensive CAD/CAM Services that meet each jeweler’s need for customization. 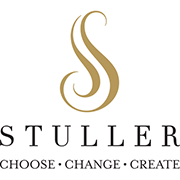 Stuller's core product categories include: bridal jewelry, mountings, jewelry, diamonds, gemstones, findings, metals, tools, supplies, and digital solutions. Replik8 enables you, the creator of 3D data, 3D parts & models, to access "best-in-class" technology via a UK company with over 12 years experience in selling and supporting 3D printers, 3D scanners and 3D software. Replik8 sells products and consumables to individuals, companies, organisations and educational establishments. 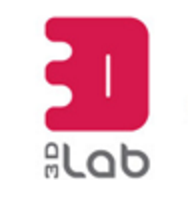 3D Systems distributor for Poland. Thor3D is a young, dynamic group of individuals which is best known for introducing the first-ever wireless, hand-held 3D scanner on the market in 2015. Thor3D is comprised of roughly 50 engineers and mathematicians and although the organization is relatively young, this assembly of individuals have been working together for years, creating innovative 3D imaging technology.